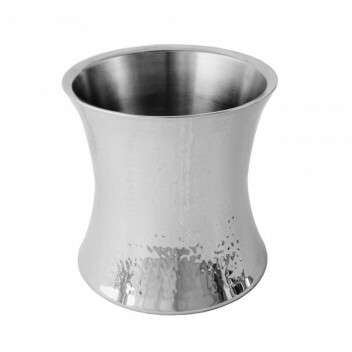 The Champagne Cooler has concave sides and is made from stainless steel with a hammered finish. This bucket features a double wall construction which offers perfect insulation characteristics and prevents condensation appearing on the outside of the bucket. The diameter of the bucket is 22.5cm. Sold singly.